Be like her. Go solar! 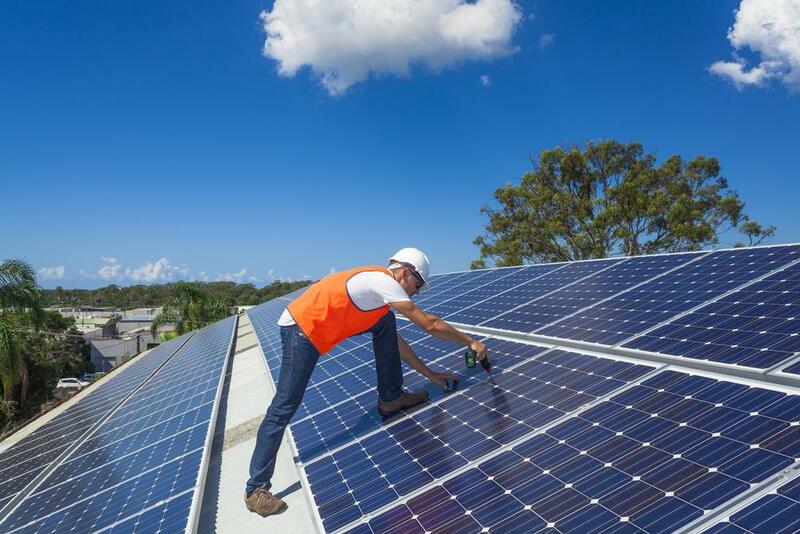 Ever thought about going solar at your home or business? I often walk outside on a really sunny day and think to myself, “Man, I wish I had solar panels installed already.” So here’s the thing: It really isn’t that hard and the economics are better than they’ve ever been before. Today, let’s learn how to go solar in North Alabama. In this post we’ll explain all the steps you need to take to install solar at home or where you work. Even though your contractor will probably be the one completing some of these items, it’s always good to know what should be happening. 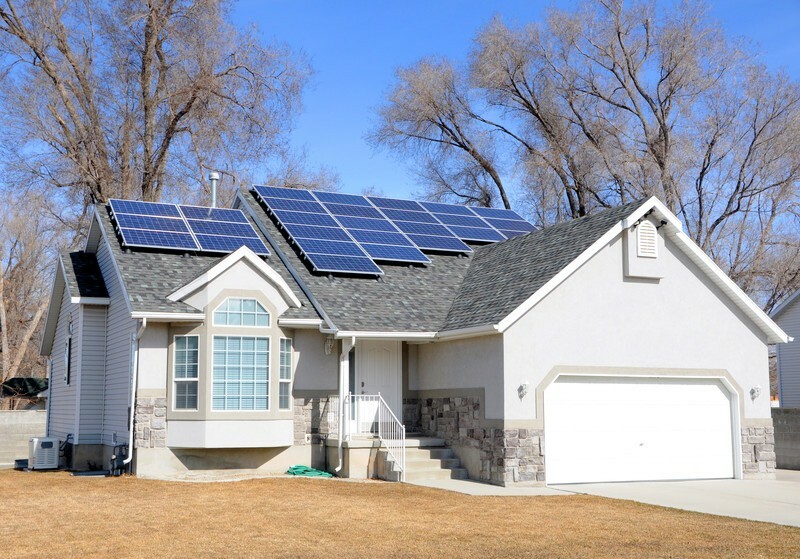 This post may be a little lengthy but we wanted to make sure you have all the information you would need to make solar a success at your home or business. This is pretty simple. Ask yourself these four questions. If the answers are yes to all of them, you’re probably a good candidate for solar in North Alabama. 1. Is the property free and clear of trees and other items that would obstruct the sun? 2. Does the property have a south-facing roof space or open area(s) where a solar system could be installed on the ground? 3. Does the property have a relatively new roof that is expected to last for at least another 25-30 years? 4. Do I expect to own the property for at least another 8 years? Do you want to go off the grid or connect to the grid? Either way, how far do you want to go? Do you want to take your whole home off the grid or just a small room for emergency backup? Do you want to offset 50% of your usage or maybe all of it? Here are some things to consider to help you make your decision. Do you have lots of roof space or open area? If you’re trying to go completely off the grid or offset all your usage, you’ll probably need a decent amount of space to go solar. Have you already invested in energy conservation and efficiency? Solar is much cheaper than it used to be but nothing can compete with just using less energy. Also, the more efficient you are, the less solar you need to buy. Most homes can’t go completely off the grid or offset 100% of their usage without reducing their usage first. 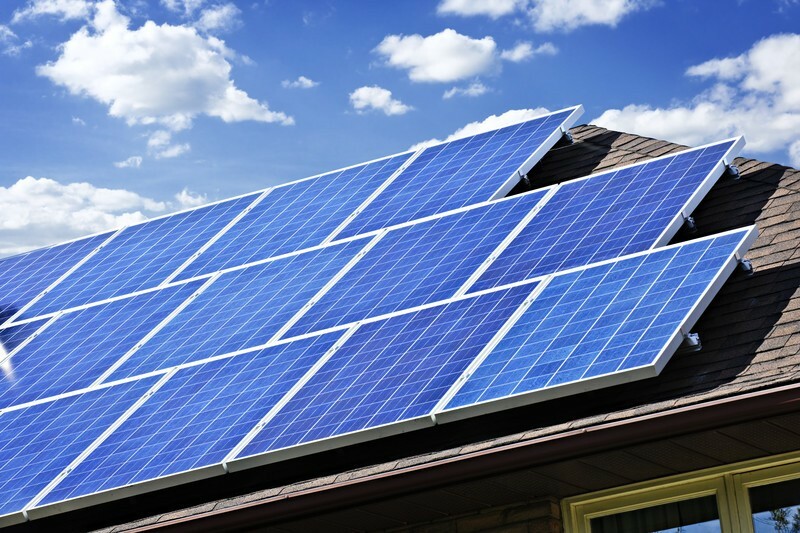 If you’re trying to go solar in North Alabama on a home AND you want to connect to the grid, you’ll need to participate in the Green Power Providers program from the Tennessee Valley Authority (TVA). This program gives structure to how you connect to the grid and sell your electricity. More on that later. For now, you’ll need to confirm that your local power company participates in the program. If they don’t participate, it isn’t the end of the world! Perhaps they’ve never had anyone ask. We’ve seen utilities join the program just because someone asked them to. Ask to speak the to the general manager and respectfully ask them about participating in the program. Before you do this, you’ll want to continue the process so you can talk more intelligently to them about exactly what you want to do on your home such as how your return on investment is affected by their lack of participation and the local economic impact of your solar installation. There are a lot of moving parts to understand. Let’s break them down. Residential solar in North Alabama is selling for about $3.00 per watt before tax incentives. For example, the average home in North Alabama installs 5 kilowatts (kW) of grid-connected solar. This would cost about $15,000 before tax incentives. A homeowner can expect a 30% federal tax credit if you have the taxable income to take the credit against. If you’re able to use the 30% federal tax credit, this would bring the total cost down to $10,500. We recommend that you consult a tax professional before making this decision. Additional incentives, such as accelerated depreciation, are available to businesses and can shave 2-3 years off the payback time. Also, businesses can expect lower costs per watt since they typically install larger systems and can take advantage of an economy of scale that homes cannot. Basically you have two and a half options to pay for home solar in North Alabama. Use traditional financing. This can take many forms, but the idea is the same. The cheapest form of financing is likely to be a home equity loan, but you can also get unsecured loans for the system. But if you do this, you’ll still likely need to put some money down. Well, there is one more option… But that’s another post for another day. Long story short, you CAN add it to your mortgage at the time of purchase of a new, or a new to you, home. On 30 year mortgages, this is cash flow positive… you make money starting in month one! We’ll explain more later. Last note on budgeting: If you decide to go with battery storage, even for a small system, you should know what kind of pricing to expect. Most battery storage systems add about 60-70% additional cost. So if your solar system is expected to cost $10,000 and you want to add battery backup, you should expect to add $6000-7000 to the total project cost. This extra cost isn’t without benefit though. With an extra investment you’ll be able to completely disconnect from the grid and rely wholly on yourself. Of course battery technology continues to fall in price. Dramatically. This will only become a better and better decision over time. So you know that your property is feasible, and you know what you want to do and have a good idea of how to fund the project. Now it’s time to really get started. And here’s where we come in. If you’re in North Alabama, we can provide a free preliminary analysis for you. The point of this analysis is to let you know exactly how much energy you can produce on your property, how much it is expected to cost based on current market pricing, and an estimated return on investment. Once you’ve seen the results and are happy, you’re ready to move on. The next step is reserving your spot in TVA’s Green Power Providers (or convincing your local utility to join if they’re not already participating). Concurrent with that you’ll begin working on the engineering drawings of your system. *Note: If you are installing an off-grid or behind-the-meter system, you do not need TVA’s approval. You are only required to get their approval when energy will be sent to the grid. First you’ll file what is called a capacity reservation request (CRR) with TVA. This essentially reserves your spot in line while your application is reviewed and your engineering drawings are finished. We should note that while this reserves a spot in line, there really isn’t a line. At least right now… CRRs are usually approved in just a few business days. We can help you find a company to build your solar power system drawings, or you can work with a North American Board of Certified Energy Professionals (NABCEP) company on your own. You’ll need a NABCEP professional in order to connect to the grid. At this point in the process you should expect to pay a professional. Engineering drawings typically cost between 10-15% of your total project cost. If your project is expected to cost $15,000, you should expect drawings to cost $1,500 to $2,250. Once your CRR is approved by TVA, they will send you a contract called a Participation Agreement Request (PAR). This contract details the terms of what TVA will pay you for the electricity you generate. PARs are usually approved quickly as well but you should expect about one to two weeks depending on their workload. As of June 15, 2016, TVA pays retail rate for 20 years. Currently, retail rate for much of North Alabama is about $.10/kWh. If in 5 years the retail rate you pay is $.12/kWh, TVA will then be paying you $.12/kWh. This will go on for the 20 year length of the contract. TVA gives a great rundown of how their portion of the process works. Once you fill out and sign the PAR, it goes to the local power company (someone like Huntsville Utilities, Joe Wheeler EMC, or Athens Utilities) to be approved. After the local power company approves the application, TVA will review and approve the application. During the CRR and PAR process, someone can act on your behalf, such as the solar company you are working with. Of course you are kept in the loop, but you don’t have to get involved in every small item unless you really want to. This helps keep the project moving. When TVA notifies you that the PAR has been approved, you are able to purchase and install your system. You have 180 days from the date of notification to finish the installation of your system. TVA requires a NABCEP certified installer and a licensed electrician to complete the install. Even if it weren’t required, you want it! That’s the only way to know you have a company that knows what they’re doing. Note: Some municipalities, like Huntsville, may require you to pull a building permit. Make sure to check with your local government prior to beginning construction! The solar company you are working with will also receive the PAR approval notification. Upon completion of the installation, the local power company will test the system to make sure it is operating safely. The local power company will notify TVA when the testing has been satisfactorily completed. Well, the hard work is done, but you still have one more major item to complete. Every local power company is different, but most will credit the amount of your generation on your bill. You will have two meters. One for consumption (your existing meter) and one for generation. If you consume 1000 kWh in a month and produce 800 kWh of solar that month, you will owe the utility company for 200 kWh of energy. If you produce 1000 kWh and consume 800 kWh, they will owe you for 200 kWh of energy. Some utilities will credit your bill and carry over your credit whereas some will pay you out monthly or regularly. You’ll need to verify this with your local power company. The key point here is to verify that you are receiving your credits and that they are accurate. Almost all solar systems also come with remote monitoring, not to mention you have a second meter. Remember, many local power companies have not dealt with very many solar projects, and as such, may not have all their internal processes in place. It is your responsibility for making sure you are appropriately credited! What Does a Public Service Commission Do, Anyway?